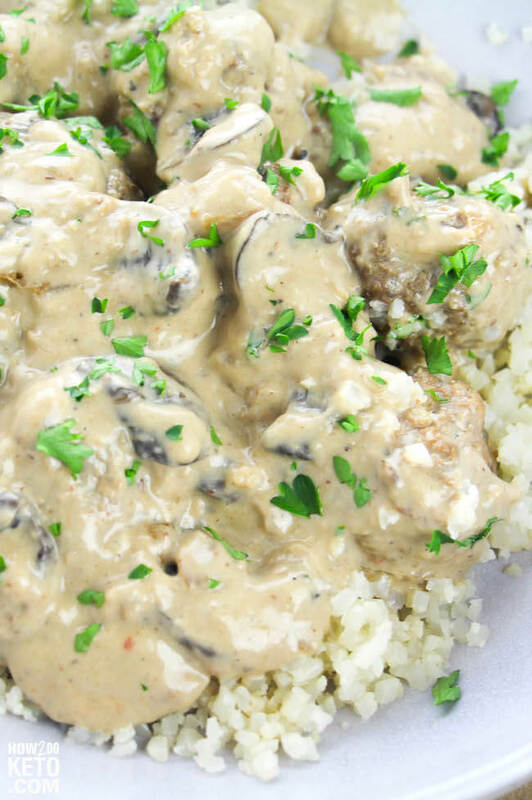 A classic comfort food that is a guaranteed hit with the whole family – this Keto Meatball Stroganoff is ready in less than 30 minutes and packed with nutrients! 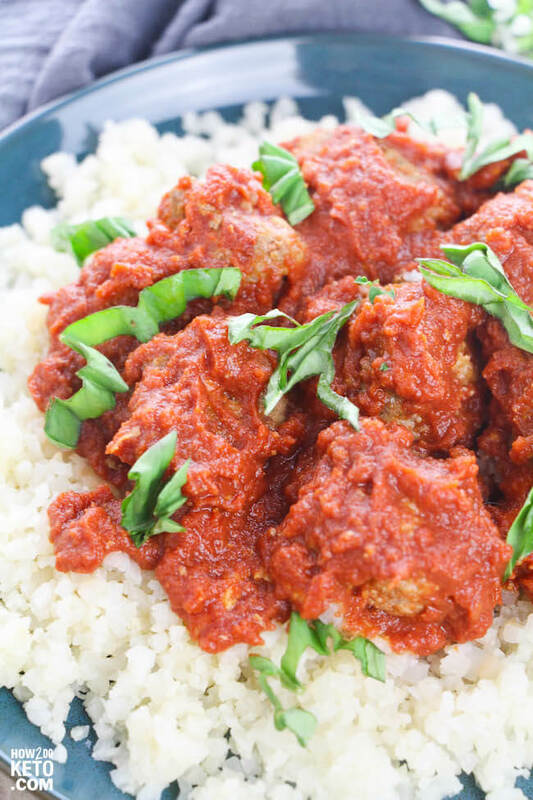 Meatballs are one of our family’s favorite meals! They are filling, packed with protein, and something that the entire family (both kids and adults) enjoy. 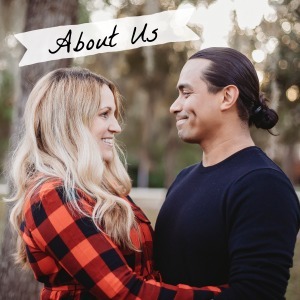 My husband and I will eat the meatballs and veggies alone and feel completely satisfied. For the kids we will add a batch of rice or pasta. 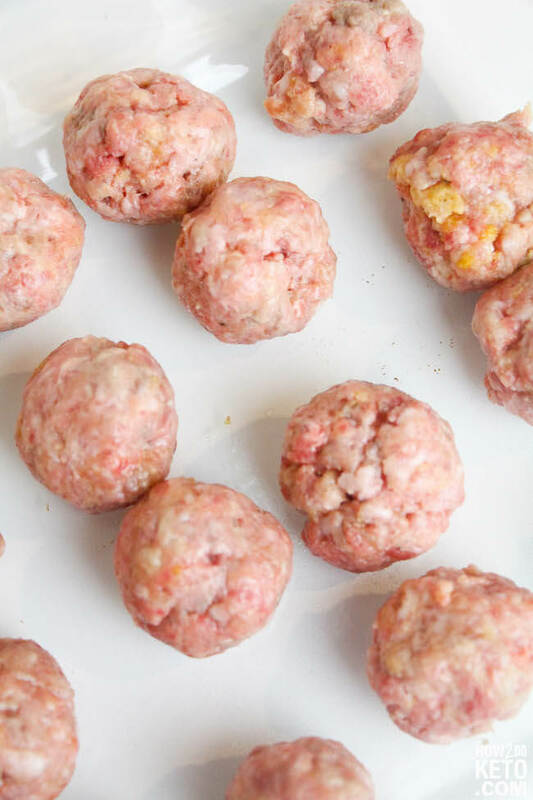 Another benefit to meatball recipes is that you can make a batch (or a double batch) to meal prep for the week. They are the perfect easy make-ahead dinner! 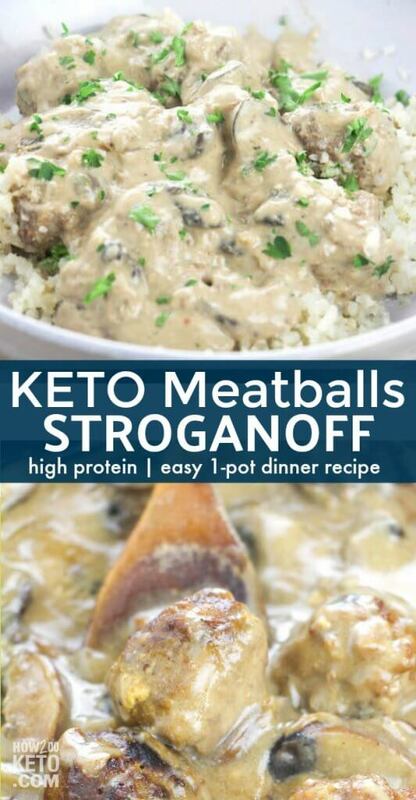 For your convenience in re-creating our Keto Meatball Stroganoff recipe at home, we’ve included shop-able ad links to some of the products and supplies used. Read our disclosure policy here. 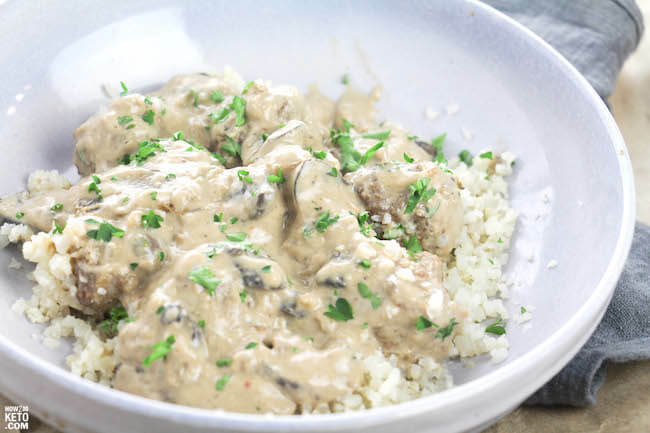 The above is a quick glance at the ingredients and tools needed to make Keto Stroganoff Meatballs. Full ingredient amounts are available in the printable recipe at the bottom of the post. We use about 1-2 Tablespoons for our meatballs. 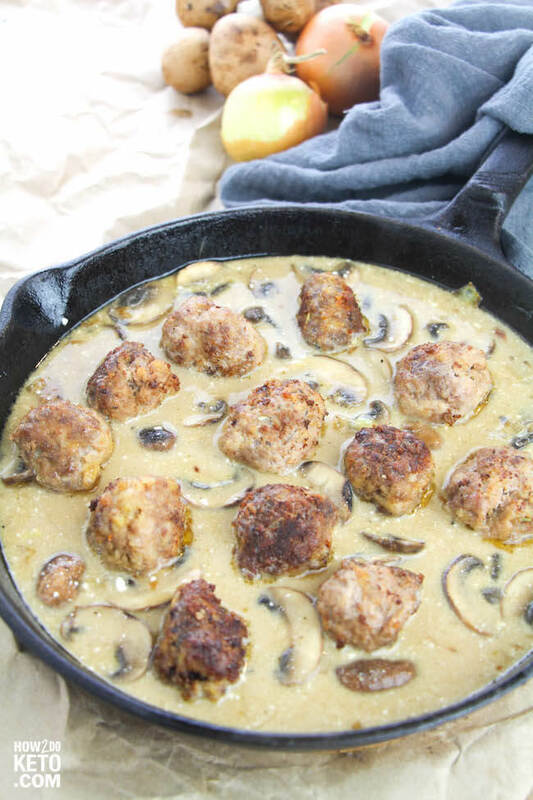 A cast-iron skillet is our favorite tool to make this Keto Stroganoff Meatballs recipe, however, you can alternatively use a large frying pan or sauté pan. Using the same pan that you cooked your meatballs to sauté your veggies infuses them with extra flavor. For a thicker gravy, remove 1/2 cup of the sauce from pan place in a small mixing bowl. 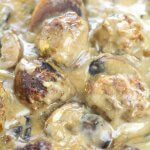 Whisk a Tablespoon of arrowroot powder into that sauce, then pour back into the skillet and stir to mix. Related: See more of our favorite Keto dinner recipes here! 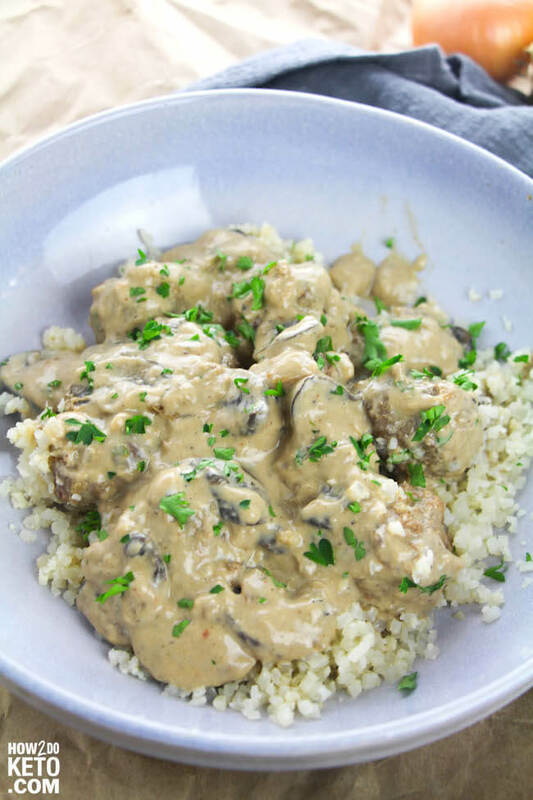 A classic comfort food that is a guaranteed hit with the whole family - this Keto Meatball Stroganoff is ready in less than 30 minutes and packed with nutrients! Heat oil and butter in a large skillet over medium high heat. Meanwhile, in a small mixing bowl, combine the beef, sausage, egg, mayonnaise, pork rinds, parmesan, and salt and pepper. Form mixture into large meatballs, about 1-2 Tablespoons each. 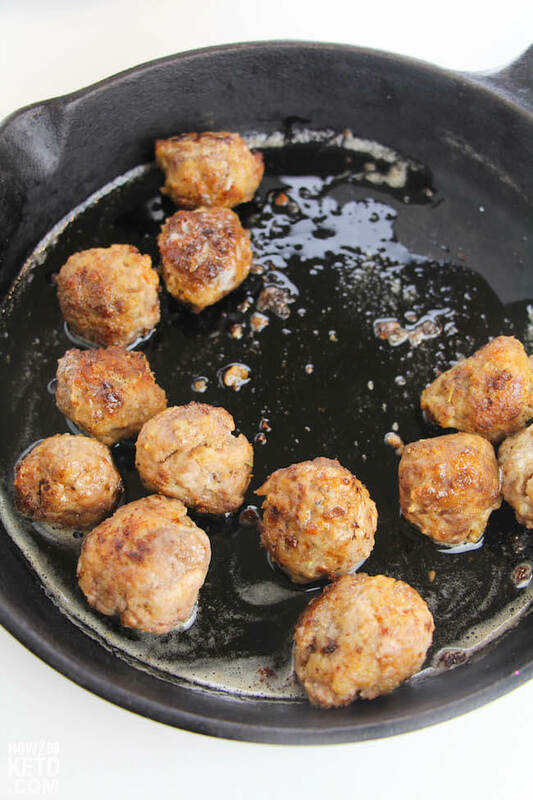 Cook meatballs in skillet for 8-10 minutes. Add diced onions to the same skillet in which you cooked meatballs, sautéing until onions are browned all over, turning every 2 minutes. 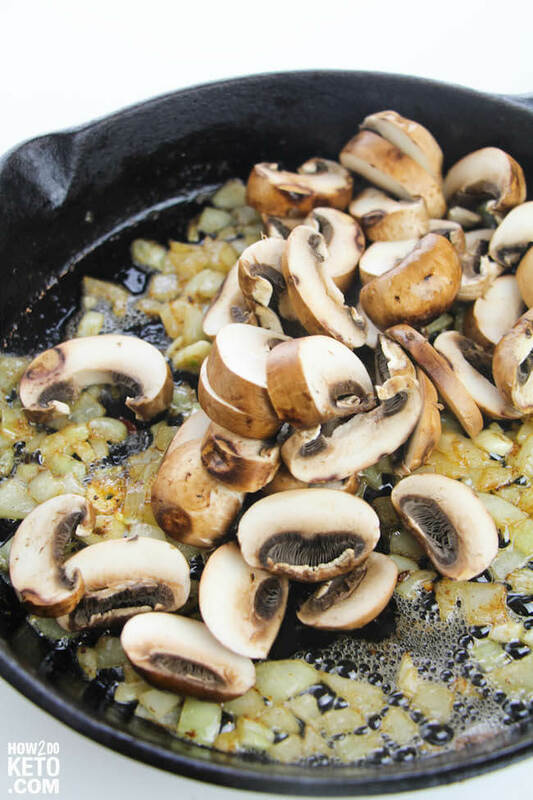 When onions are translucent, add the garlic and mushrooms. Cook for 2 minutes, then add the beef broth. Stir in the sour cream and dijon mustard, and a bit of Worcestershire sauce, to taste. 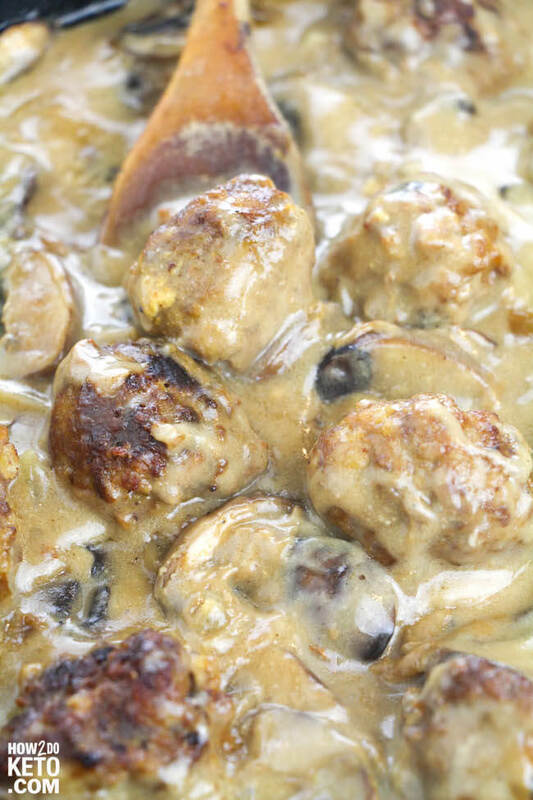 Add the meatballs back in and allow the gravy to cook and thicken, 3-5 minutes. Season to taste with salt and pepper and garnish with parsley.